What is the "Beautiful Fonts @ 10x" experience? 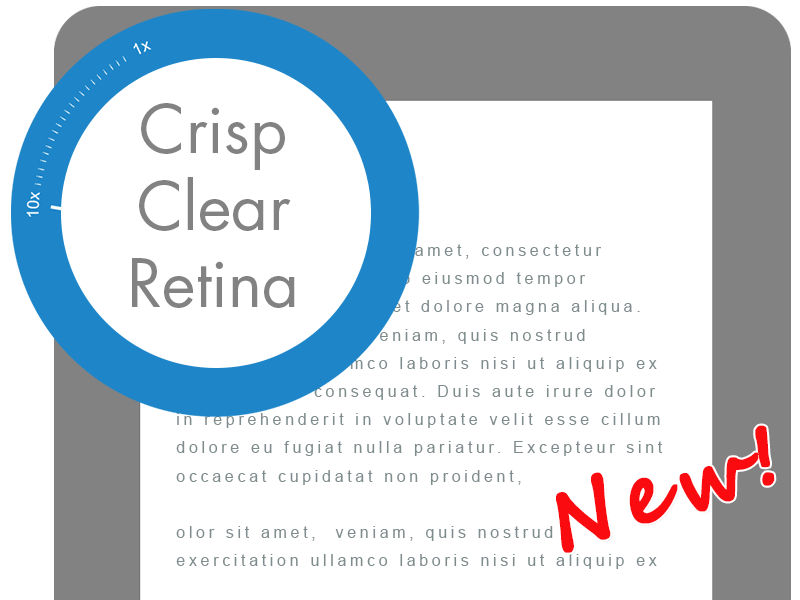 We are thrilled to introduce fast, super sharp, and crystal clear font rendering even at full 10x magnification. See your documents rendering crisply and clearly just like a retina display and enjoy zooming and navigating through content. Starting today, we are introducing support for Microsoft Word documents also. Simply import any Word, PowerPoint, or Adobe PDF document and see it render crisply as you zoom in. Import textbook pages, student work, or exercise worksheets, annotate over them, and use them in your Whiteboard or LiveFeed sessions. Can I also show a magnified view on my projector/ classroom display? Yes, starting with v3.73, the Annotate Mirror Client will match the zoom and offset of your tablet's screen during projection and LiveFeed, with the same level of super sharp font rendering. Enjoy blowing up content on your projector or classroom display and have your students stay focused. Will my earlier documents automatically be upgraded to render beautiful fonts? This feature is only supported for notebooks imported into the system after 9-Feb. If you would like any of your older documents to render in sharp fonts, we recommend that you import them again. Do I need to upgrade the Annotate Mirror Client? Yes, please update the Annotate Mirror Client to v3.73 or later for projecting notebooks imported after 9-Feb. Earlier versions of the Annotate Mirror Client will continue to render notebooks imported prior to 9-Feb.
Will the v 3.73 Annotate Mirror Client be able to render my older notebooks? Yes, v3.73 of the Annotate Mirror Client will be able to render notebooks imported prior to 9-Feb and/ or later. Earlier versions of the Annotate Mirror Client will continue to render notebooks imported prior to 9-Feb. When should I use the "Import as image" option? While the new notebook import process has been tested extensively, there is a small chance that some notebook page may not render exactly as they do in their native applications. The "Import as image" option is recommended for those situations where better fidelity is preferred over crisper rendering.